We are offering Ceramic Fiber Cloth. We deal in Ceramic Cloth. Ceramic Fiber Cloth that we offer can be used for temperature up to 2300 degree F. Reinforced with fiberglass filament, this cloth can also be provided with Colonel/alloy steel wire. Cloth, tapes, ropes and other ceramic fiber textiles consist of a certain amount of binder material. Normally, this material is burned at lower temperature and does not affect the insulation property. - This fabric can withstand maximum temperature of 1200 C.
Low thermal conductivity, thermal shock resistance excellent high temperature insulation. 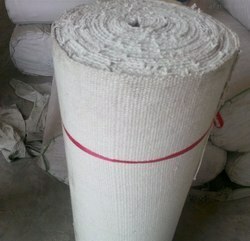 It is used as heat insulating materials and an execllent substitute for asbestos cloth. 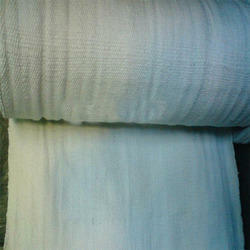 Ceramic fiber cloth with metallic (nickel wire or stainless wire) are also available.